Malaysia. I know a Naqshbandi there, he is in the Batik Business... Hey, Rosetta!?! Why are you crying?!? 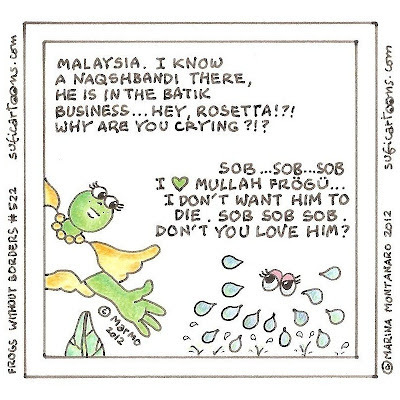 Sob... Sob... Sob I love Mullah Frögü... I do not want him to die. Sob Sob Sob. Don't you love him?